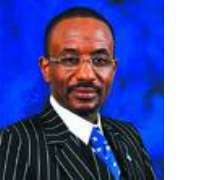 The Governor of Central Bank of Nigeria, CBN, Mallam Sanusi Lamido Sanusi, rose, yesterday, in stout defence of the N420billion he injected into the five troubled banks, saying that he acted in consonance with the provisions of the Banks and Other Financial Institutions Act, BOFIA, which is also an Act of the National Assembly. The CBN also said that the N420 billion Tier II Capital injected in the sick banks- Oceanic Bank, Intercontinental Bank, Fin Bank, Afribank and Union bank- did not need National Assembly's approval as it was not an expenditure, but a loan that would be returned to the CBN in a matter of time. “There is a difference between a loan and expenditure. We did not spend any money on banks, we only gave them a loan, and the loan was not drawn from the Consolidated Revenue Fund. It was not,” he insisted. Meanwhile, the preparation for legal fireworks between the Economic and Financial Crimes Commission, EFCC and the bank chiefs arraigned for granting non- performing loans and possible internal abuse will intensify today as the commission boasts of its readiness for trial. Before honouring the summon of the House, yesterday, the committee had threatened fire and brimstone to force a reversal of the N420bn bailout. This stance was obvious even when the Chairman of the Committee, Hon. Ogbuefi Ozomgbachi (PDP/Enugu) opened the floor of the debate: “We challenge the CBN Governor to refer this Committee to any section of the Constitution of the Federal Republic of Nigeria which grants the CBN any special exemption from the binding effect of the constitution. The hall, filled by newsmen and stakeholders erupted in laughter. In his argument, Ozomgbachi said that the House of Reps had shown lots of commitments to seeing that the Nigerian financial sector was healthy going by some of the resolutions taken on the floor of the green chamber this year. He said that the committee had invited the CBN in July this year to brief it on state of health of Nigerian banks; the details of Procedures/Practices in the management of the Nation's external reserves and on the Interest/Exchange rate. He also said that the committee had asked the CBN governor to furnish it with documents of audits of banks it was carrying out immediately after the exercise, adding “however, about two weeks after the appearance of the CBN Governor, the Media became awash with the news that the CBN Governor has taken some far- reaching actions. Even though these actions were taken without consultation with the committee as earlier envisaged. “The committee has refrained from doing media reaction without first having a formal briefing. He then went to cite lengthy portions of Sections 80 and 81 of the 1999 constitution which empower the National Assembly to appropriate funds and Section 162 which defines what constitutes revenue. He also referred to Section 35 of the Fiscal Responsibility Act, which states among others, that no government organ has power of expenditure on any revenue it generates without recourse to the National Assembly, explaining that the CBN is number 19 on the Fiscal Responsibility Act. But Mallam Sanusi in his submission said the apex regulator of banks in the country, acted in agreement with Sections 9, 13, 15-17 of the BOFIA. “Under the BOFIA, regulatory matters like minimum capital requirement, minimum holding of cash, capital adequacy ration, etc, are within the competence of the CBN to determine (see section 9, 13, 15-17). Where a bank is deficit in any of these, the CBN may, under its statutory powers, order redress of the deficiency in any ways contemplated by law, see for example sections 5(1): 13(2), 34(a) of BOFIA,” he stated. According to him, “the reinforcing provisions of Section 42 (2) of the CBN Act allows CBN to inject capital into any bank facing liquidity problems by way of loans and other accommodation facilities on terms it deems fit, notwithstanding the restrictions imposed by Sections 29 (1) and 34(d) of CBN Act. “Thus, the injection of capital into the five banks, being by way of Tier 2 Capital, which is lending, is perfectly within the ambit of section 29 (1) and 42 of the CBN Act,” he added. He said the action of CBN was authorised by a law made by the National Assembly, therefore it was impliedly approved by the National Assembly. As a first step, the anti graft body disclosed that its lawyers have filed its brief in response to the bail applications moved by the accused persons' counsel on Monday after they were docked before a Federal High Court in Lagos. The EFCC spokesman, Mr Femi Babafemi in a telephone chat with Vanguard said they were fully prepared for the trial and ready to show the court why the bank chiefs must guarantee their readiness to face trial. Mr. Babafemi who said the commission will today update the media on the details of its findings, encounter and its readiness to prosecute its case, said no fresh arrest was made after the arraignment of those brought before the court. He pointed out that the commission will also give details of what it has done so far on the efforts to retrieve outstanding loans for the five banks.